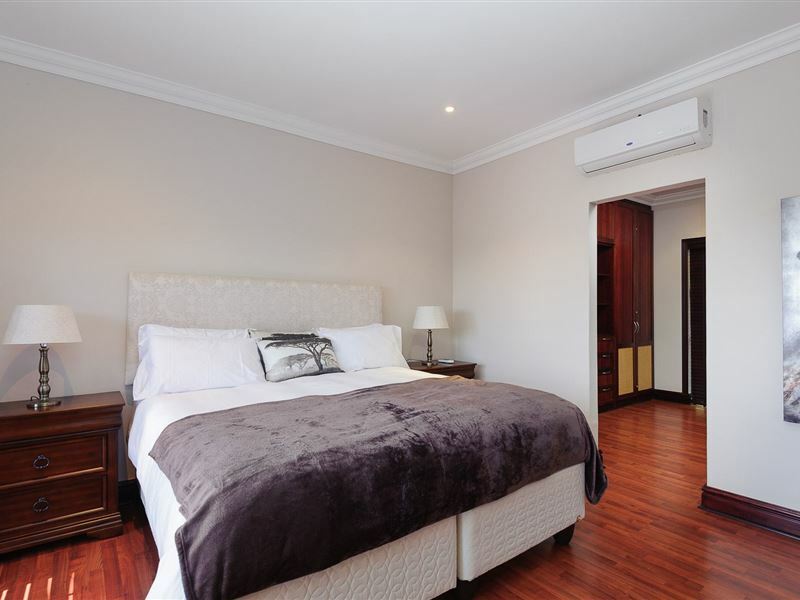 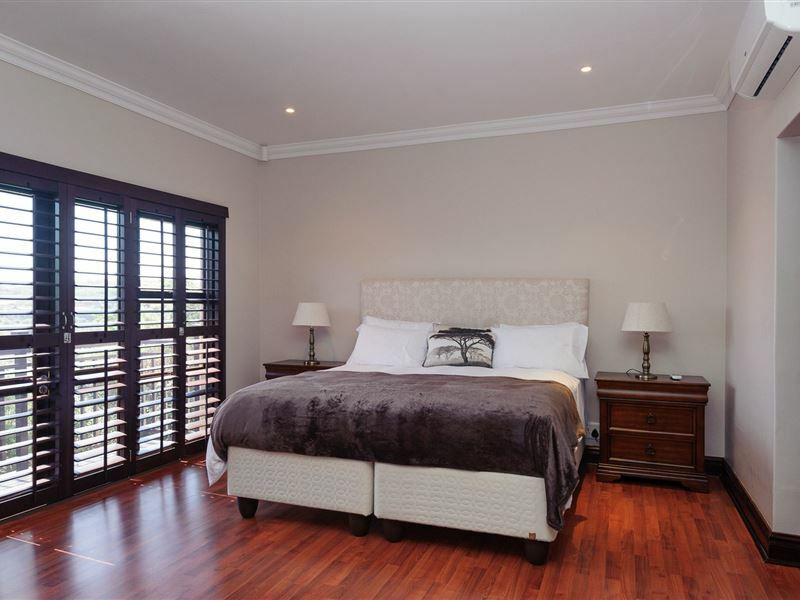 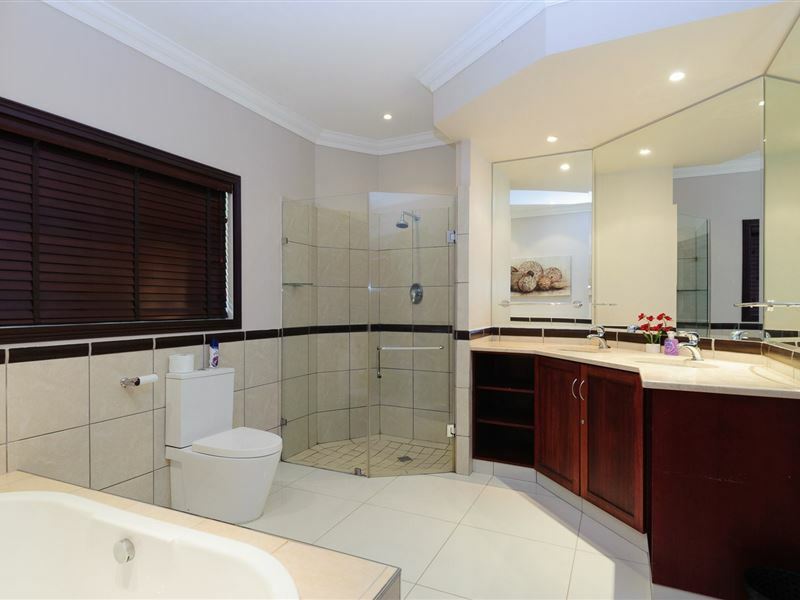 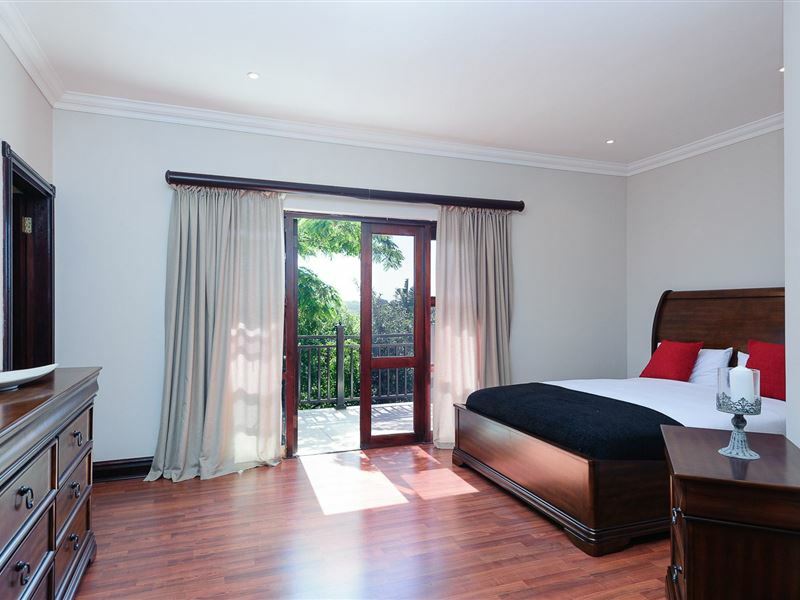 The upstairs master bedroom offers a king-size extra length bed and an en-suite bathroom with bath and shower. 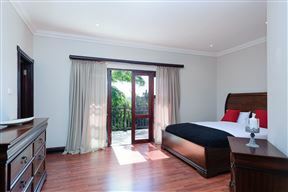 The second upstairs bedroom offers a queen size extra length bed and an en-suite bathroom with bath and shower. 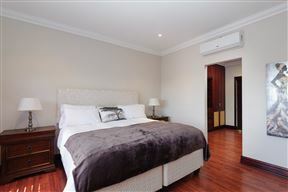 The third downstairs bedroom offers a queen size extra length bed and an en-suite bathroom with bath and shower. 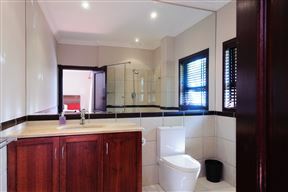 The fourth downstairs bedroom offers two single beds and is located across the corridor from the fourth bathroom which has a shower. 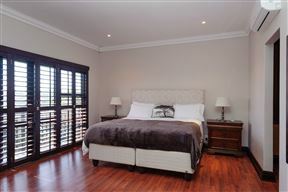 The two upstairs bedrooms both open onto balconies with views of the forest and golf course. 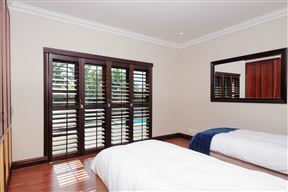 Both downstairs bedrooms have double doors leading onto the private deck and swimming pool. 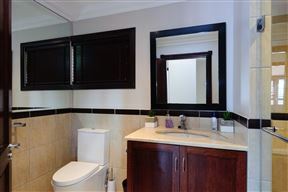 A well appointed kitchen and adjoining laundry room is available for your use. 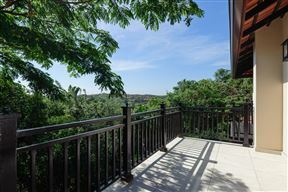 A comfortable lounge and the eight seater dining table are all open-plan and lead through bifolding doors to the outdoor lounge and the outdoor dining table which are both on the deck. 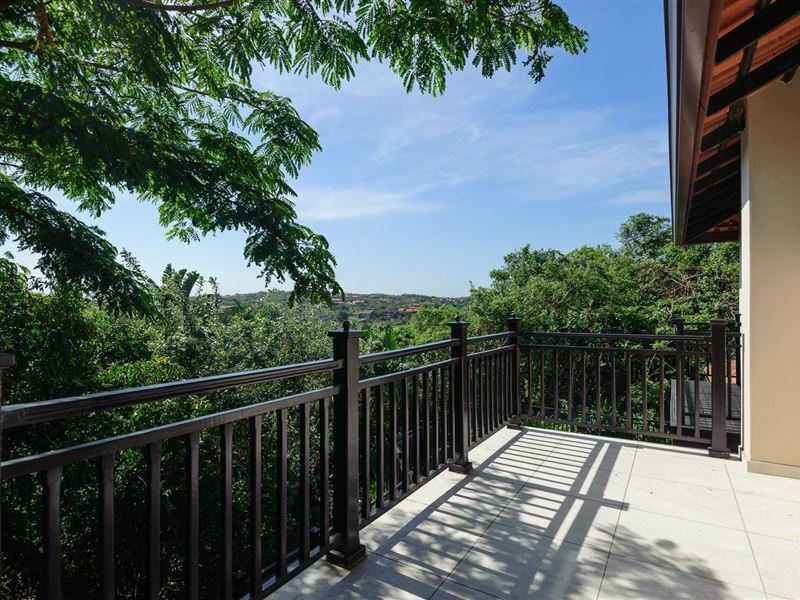 Sun loungers and a charcoal braai are available for your use. 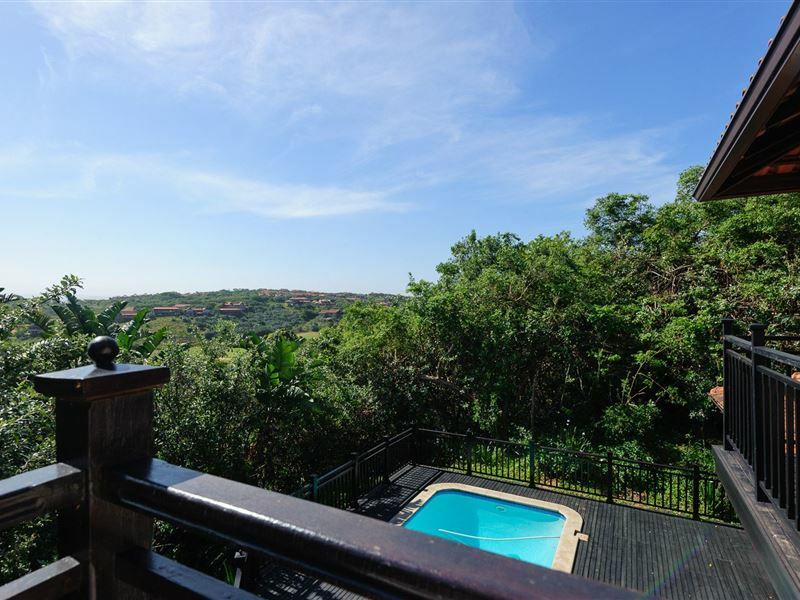 A four seater golf cart is in the garage and can be used to get to facilities within Zimbali, be they the country club, golf course, hotel with its facilities, the Bushbuck Club with tennis courts or the Valley of Pools and of course the multiple restaurant at each of these locations. 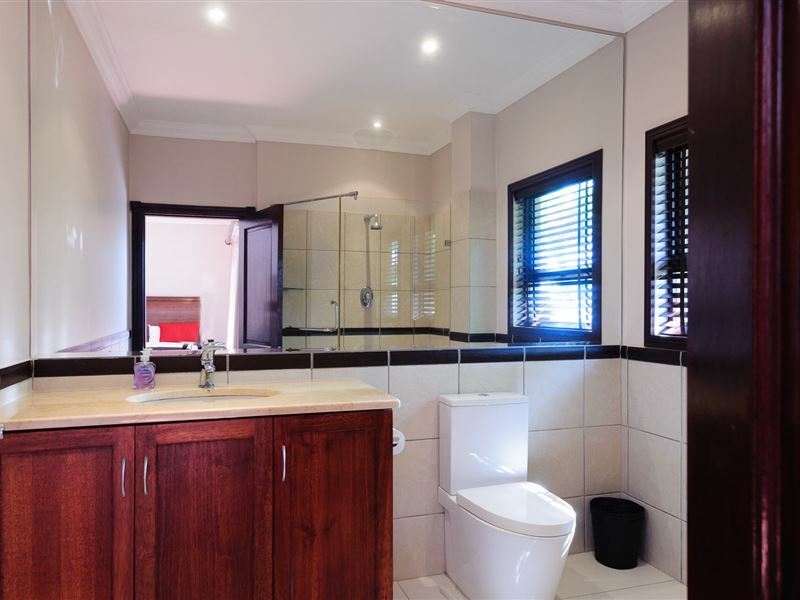 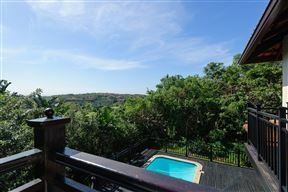 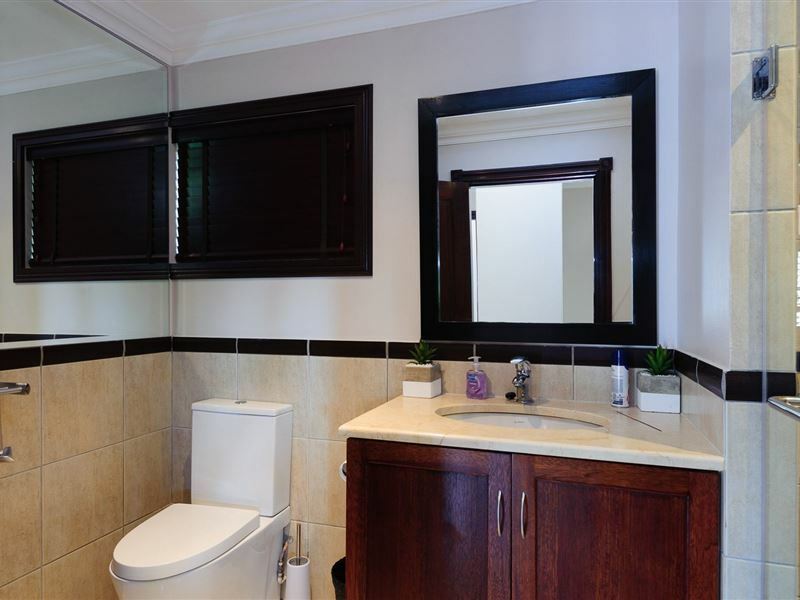 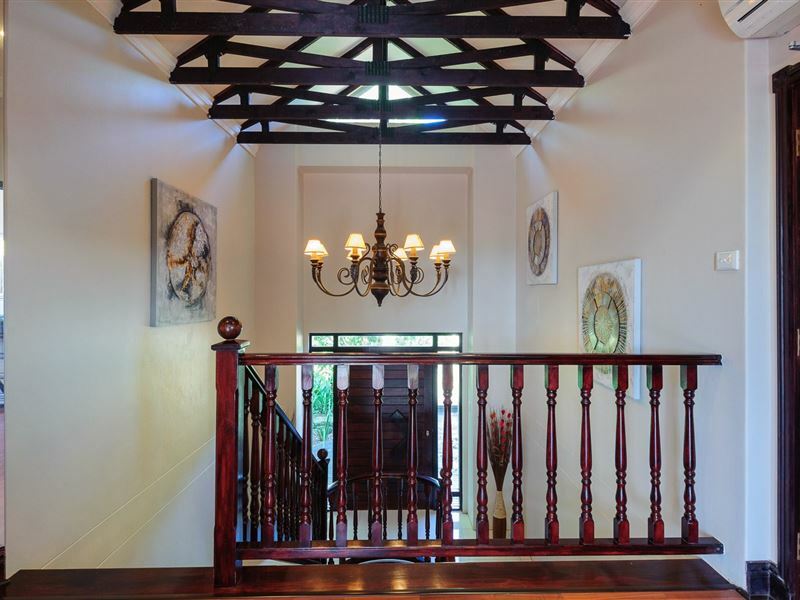 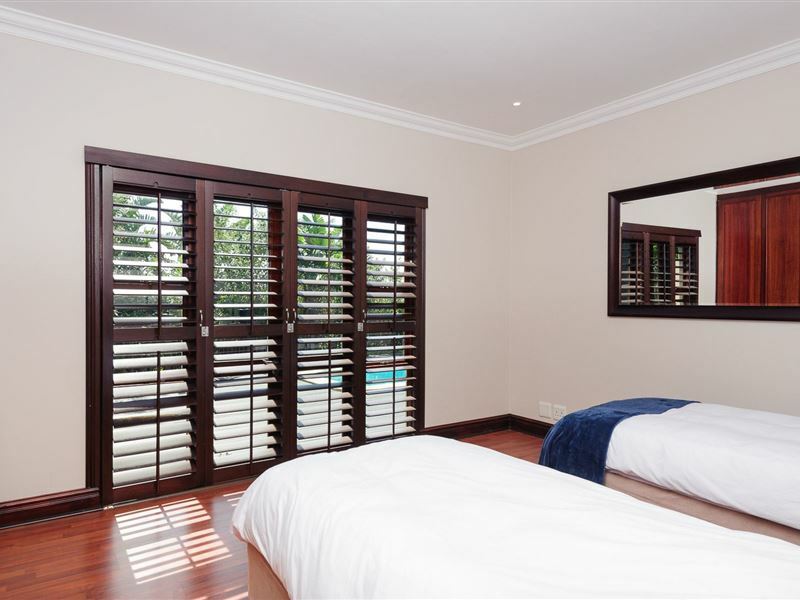 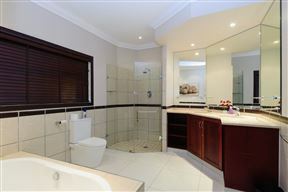 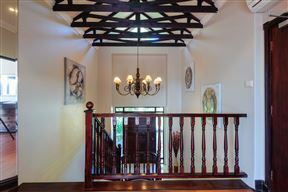 A four bedroom, 4 bathroom self-catering villa in a beautiful established forest within Zimbali.